“The Gawker (At the Jefferson)”, 12″ x 16″, oil on panel. October 2013. 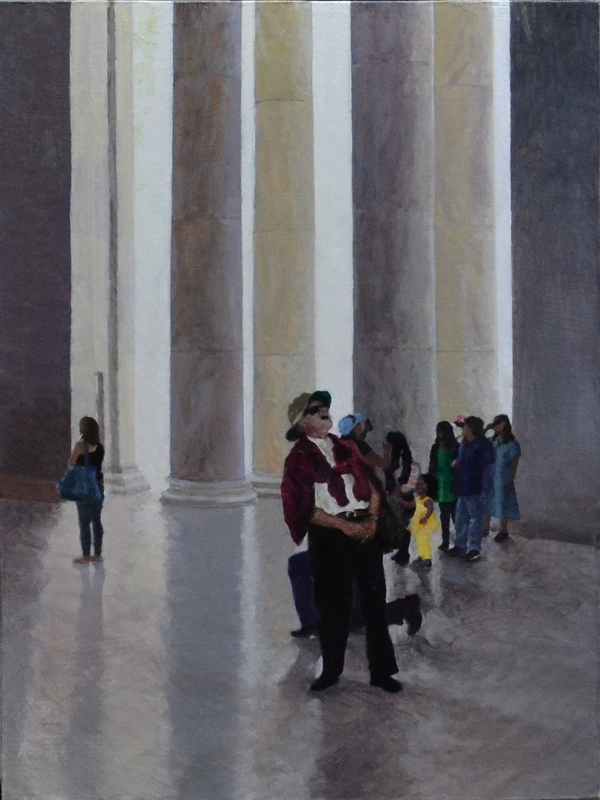 This painting was inspired by a photo I took at the Jefferson Memorial. The space is quite awe-inspiring, and dwarfs the visitors, who tend to walk around quietly, with an air of reverence. When I saw this man, his pose, appearance and expression caused me to snap his picture immediately… and fortunately, I caught him! This entry was posted in Uncategorized on October 11, 2013 by allanm051.